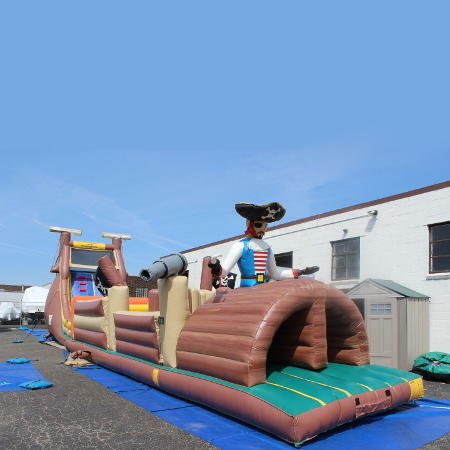 Okay, THIS is the biggest obstacle course we have to offer: the 74ft Pirate Obstacle Course! It’s a great unit for any and every occasion. Whether you’re having a pirate themed party, or not, it’s a good time with this obstacle course. Race your opponent through the pirate ship and slide to victory! REQUIRES TWO SEPARATE OUTLETS.